A large and exceptional gold pendant by the Artificers Guild dating to c. 1910. 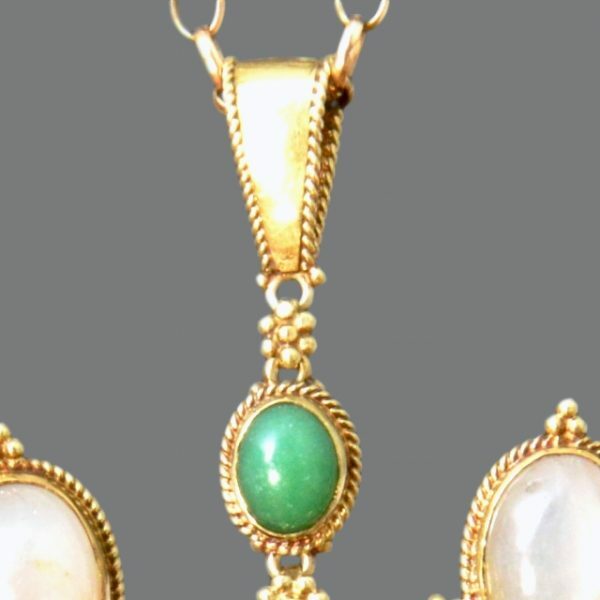 The stones comprise emerald drops, white star sapphires, central green chrysoprase and pink tourmaline, with a large moonstone drop. The colours are those associated with the suffragette movement of the period. 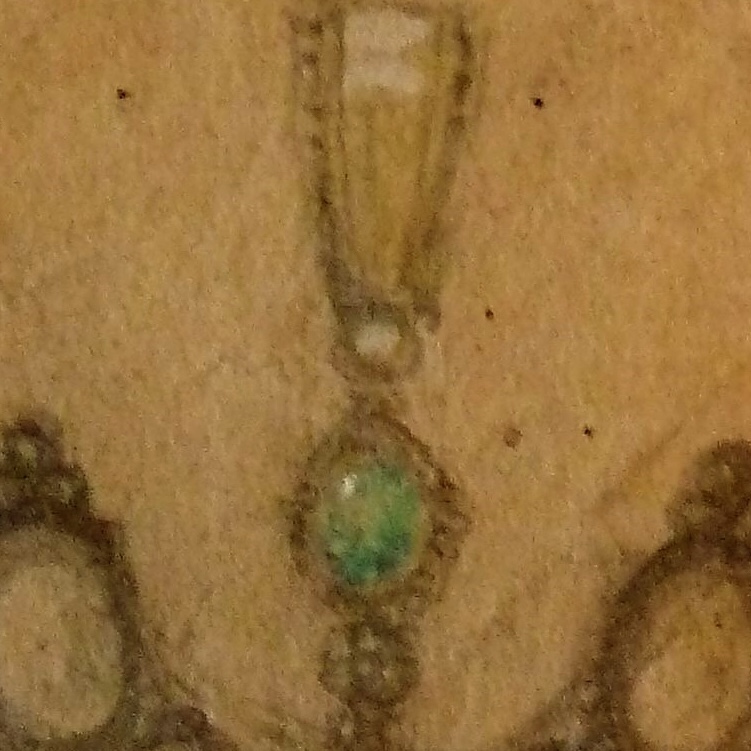 The original drawing for this pendant appears in the Goldsmiths Hall Library, Artificers Guild archive ref SC822. See images. The design is attributed to Edward Spencer, the Guild’s leading designer and director. The images shown are the top of the pendant only.